Mountain Lion Design is a London based website design and SEO team headed up by creative designer Helen Martin. How Would You Define Content Management System? What is a CMS Website? Loads of clients ask this question. They’ve heard the term, and have an idea what it might mean, but are looking for a clearer picture. I’ve been prodding around my brain cells, and trying to think of a way to define content management system (or CMS for short) so that it can be understood by complete newbies to website stuff. Basically, a CMS website is a site that uses a system (a type of software) that allows users with little or no knowledge of web code or programming, to update their own website content once their web designer has build their site. A website CMS allows you to edit, modify, delete, organize, and publish (make available for the public) content on your website. This is done online – on a normal web browser like Chrome or Explorer - from a central, (mostly) easy to use panel. And by “content”, I mean text, blog posts, images, videos etc. on your web pages. So what does using a CMS website entail? I’m not going to lie to you and pretend that using a CMS is a walk in the park for newbies, although for someone dedicated, and determined to manage their own content, it needn’t be rocket science either. There are varying degrees of difficulty, depending on which CMS is used, and how deep you want to get into it. If you want a minimal learning curve, your website designer can set the content management system up that way. If you really want to get your hands dirty under the hood, there are some great video and written tutorials out there for the most popular systems. A sophisticated content management system will allow multiple users to access the website and modify its contents. The website administrator can create multiple accounts for users. This can be useful if you and a friend or colleague were co-writing a blog, and want to have separate credits for your posts. This is very a popular software, although it is not the easiest to use. While it started life as a blogging platform, it has now become a fully-fledged content management system. This means that it is possible to build a complete website on Wordpress, and it has an absolute ton of great add on features (known as plug ins) that allow a whole heap of extra things function wise. Wordpress websites are built around a “theme” (a template design that creates the overall look and functionality of your website). And with thousands of themes available, you really are spoilt for choice. Some themes are free, and some template must be paid for. Wordpress is built with PHP (a programming language), HTML (a coding language), and SQL (a data organization language). It uses a “database” (a type of filing system type storage on your server) where important parts of the website’s content and information is kept. Using WordPress requires some training first, although this can be at the most basic level or at a more intensive level. By definition, this is the simplest application of a content management system. It is targeted for use on small websites, allowing fast updating, publishing and modification of content. There is a self managed blog option, photo gallery option and of course regular page content editing. Of all the CMS available, it is by far the simplest to use. Pulse CMS “modules” can be integrated into a regular website. This means that say for example all your pages are basically going to remain the same except perhaps a particular section like an events diary, then the CMS can be added to that specific area of the website. All these things can be easily updated by you once your web designer has set it up. There is a small charge for a Pulse CMS lifetime license, but it can allow you to add content to your website in a matter of minutes. Unlike WordPress, no database is needed since it uses flat files. The learning curve is a no brainer, although some understanding of basic HTML code is desirable and easy to grasp. This software is for eCommerce (shopping) websites. It is straightforward to use, free and has many great features. Of all the eCommerce systems around today, OpenCart is the most user-friendly, easy to set up and run. It doesn’t require a huge amount of training, although there is a learning curve. Being open-source (free and community based), it is backed by a huge online following, meaning that support is easy to access when needed from fellow users. There are also lots of add on features (known as extensions) that add various extra functionality. Once your web designer has installed the software and created a database on your server, built you a custom designed store front, and set up things like payments, shipping and all the other behind the scenes structures, you can easily add and edit products, categories, descriptions and images to your store. • What are the advantages of content management system? The chief benefit is that you can save money, since you don’t have to go running to your web designer to carry out every little update to the text and images of your website for you. • The user-friendly dashboards are full of features and are fairly easy to learn how to use. • CMS support groups online are plentiful, and there are millions of resources like this article, to teach you everything you need to know. • CMS sites are the best option if you update your site quite often. • A dedicated CMS module at the very least, means you can run a daily or weekly blog unassisted, from anywhere. 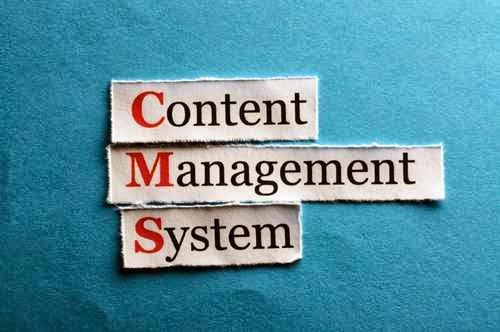 By now you have a pretty good set of answers to our original question what is a cms system, and have a fair idea of the pros, so let’s have a quick look at the cons of using this type of system. • Some CMS may need a license, plug in updates and software upgrades. This can be a bit daunting (and annoying), so ask your website designer to help you out if necessary. • Most content management systems require more storage space and/or features on your hosting than a very basic website. • Some server upgrades or changes can cause the CMS to fail. In addition, some software upgrades and plug in/extension updates can cause function anomalies or faults due to compatibility issues, which must be checked thoroughly first. • Migrating a site from one server, web host or domain to another can sometimes be very difficult. • Some coding ability may be needed for certain upgrades. These disadvantages don’t much apply to Pulse CMS (although it does need a license), so if you just want to edit basic content it is probably the safest bet in that respect. But having said that…literally millions of websites use Wordpress and OpenCart, so don’t be put off…especially if you have a reliable, competent website designer behind you! Our dedicated, creative SEO and web design team is headed up by Helen Martin. We are based in London and cover the whole of the UK and beyond. The aim of these articles is to help clients understand the techy ins and outs. We are committed to doing that in a straightforward, jargon free zone! Why Does A Website Need Off Page SEO & Link Building? Website Keywords… Whatever Is All The Fuss About? It Sounds Daft, But How Do People Find My Website?